To get a price offer for our one time cleaning service, make contact with us at: 020 3746 3201 or by filling in our booking form. Better Cleaning Company chooses its cleaners only based on references from trusted sources. We carry out a thorough record check for all our employees. They are all perfectly trained to deliver the results with our cutting edge cleaning gear, tools, and Prochem certified detergents. Our one off cleaners Haringey N deliver an exceptional one off home, spring and building contractors cleaning service, and operate in accordance the quality and safety sessions of our professional cleaning company. All of our services are fully covered with insurance. 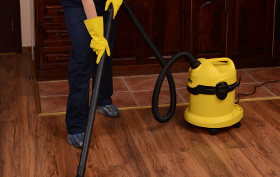 We are specialised in offering adequate spring cleaning in Haringey N to the residents and companies in the area before, throughout as well as after the spring season. Our skilled cleaning technicians work on by the hour basis and will clean just about anything that you ask for if the time is enough for the job to be carried out. You choose what needs to be cleaned and we will perform it with professional machines and solvents! We can freshen up any room, surface, appliance, or just about anything you need professionally cleaned. If you are home when the technicians come they will start by ensuring that things haven't changed since you specified your requirements. They will make a quick check in your place and confirm if they could complete all the jobs identified. You’ll be free to change your priorities if there’s too much work to be done during the time you've booked. You can make fast and easy appointments twenty four seven. Just call us by phone 020 3746 3201 or send us an online request. As a reliable one off cleaning Haringey N company we also have public holiday and week end availability. We have fair rates and offer great discount rates for clients who request more than 1 service at a time! There is no upfront payment for our services. You will pay once we are finished. The insurance for the service is included in the final rate.